Drew Daywalt is the author of the blockbuster #1 New York Times bestselling The Day the Crayons Quit, illustrated by Oliver Jeffers, for which he won the E.B. White Read Aloud Award. He also penned the bestselling companion book, The Day the Crayons Came Home, as well as The Legend of Rock Paper Scissors. David Spencer is an illustrator and designer with a background in licensing, product design and print media. In his spare time he gets overexcited at movies with big robots, loves drawing monsters, guys in capes and other silly things. He has a undying affinity for anything that lets him be loud in social settings and when he isn't drawing fun stuff he can be found helping his kids get into adventure wherever it may rear its head. 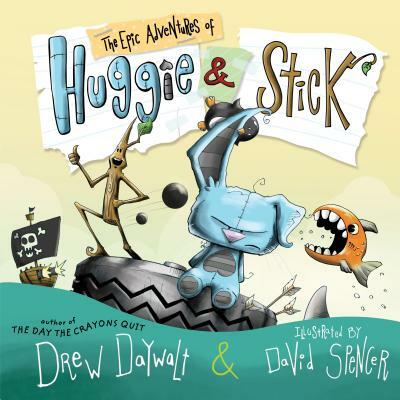 The Epic Adventures of Huggie & Stick is his debut picture book.